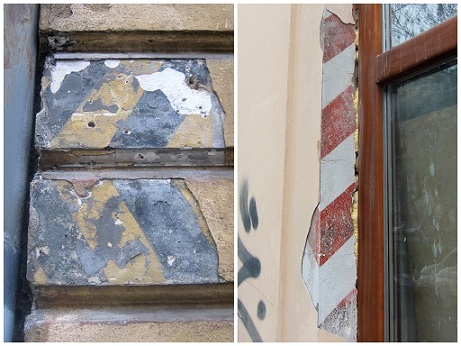 An interesting feature of Lviv’s ghost signs is black and yellow or red and white painted stripes found on former storefronts. There are several opinions floating around as to what exact function they served, so I have yet to have a definitive answer. 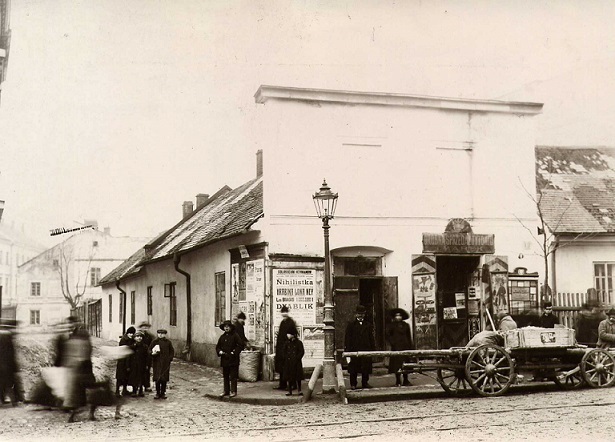 However, many working in Jewish heritage recently weighed in on this question in a post made on social media by Rohatyn Jewish Heritage and some solid theories were collected. 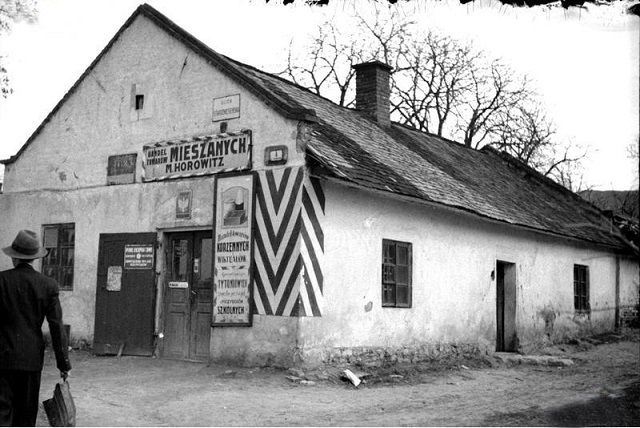 The stripes date from Habsburg times and meant that the owners (of Polish and Jewish businesses) had permission to open the shop. 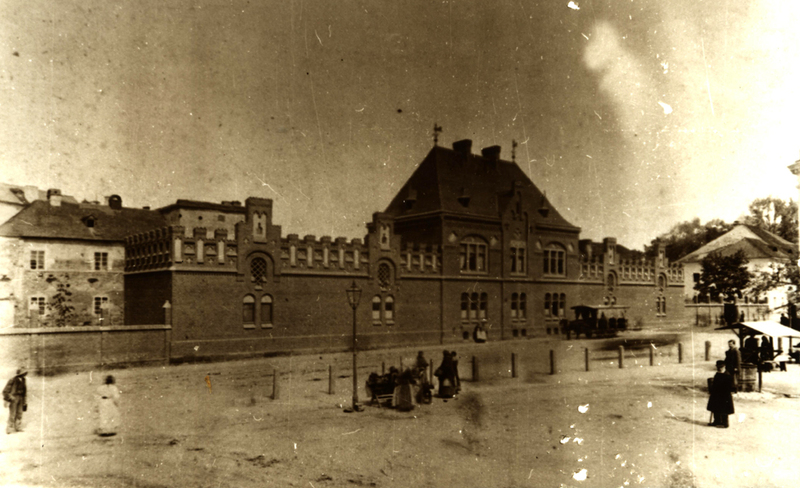 It might be that it was only for certain types of stores, those with regulated goods. 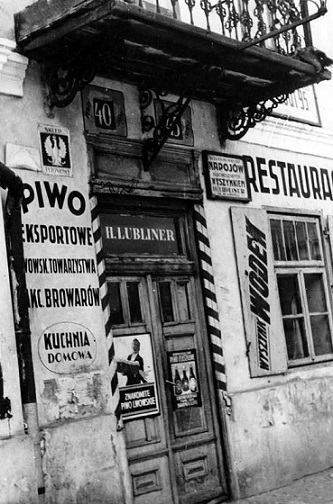 They were not a national marker, but a marker for new small shops, which after several new laws were easier to open, especially for Ukrainians and Jews. The stripes meant the shop had state-issued permission to sell alcohol, cigarettes and other products licensed by the state. 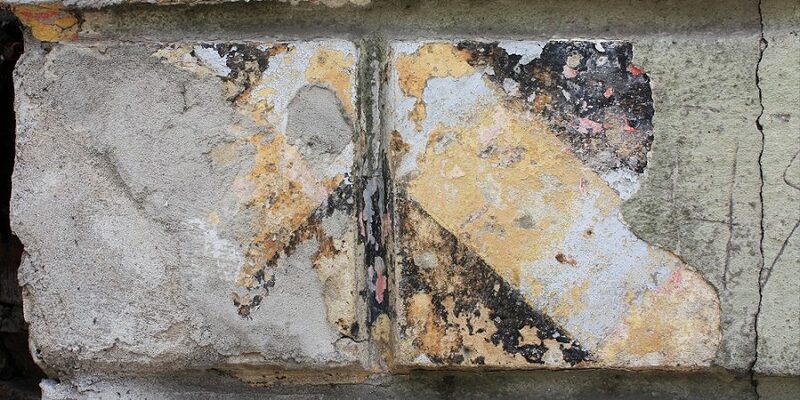 If you closely at the featured image, you can see white areas on the yellow stripes and splotches of red on the black. 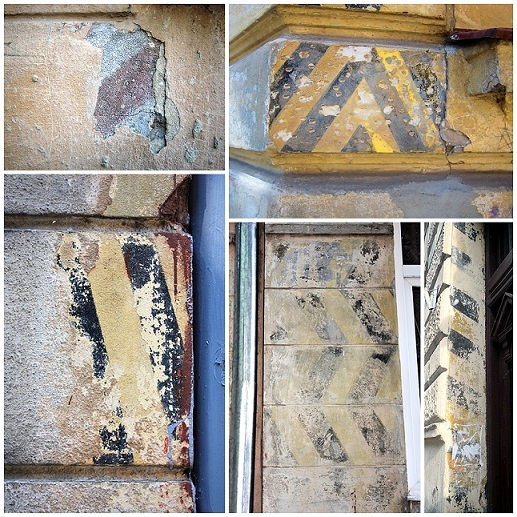 It seems that originally there were black and yellow stripes angled to the left, but then on top were painted white and red stripes angled to the right. 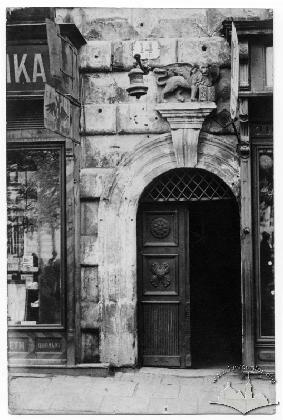 Thus it seems there was a store which during Austrian times had certain privileges, which then after WWI would have had to get a new license from the Polish authorities and accordingly change the colors to correspond to the current regime. 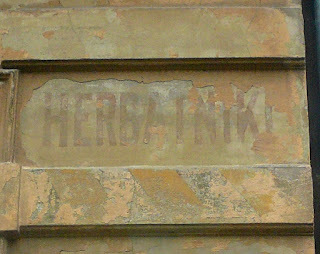 Painted stripes were found not only in Lviv, but also in other Galician cities. 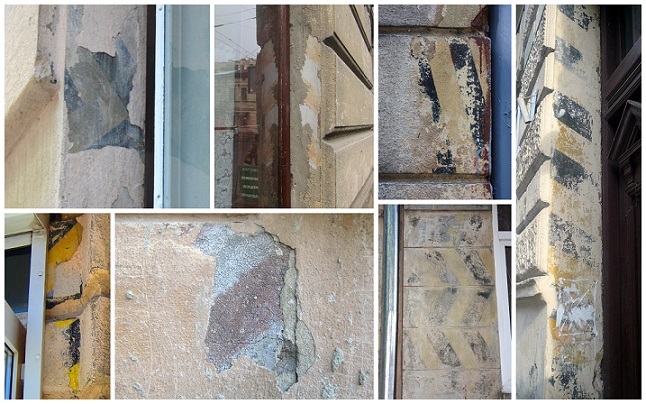 For example, I have come across similar stripes in Przemyśl and Sambir. 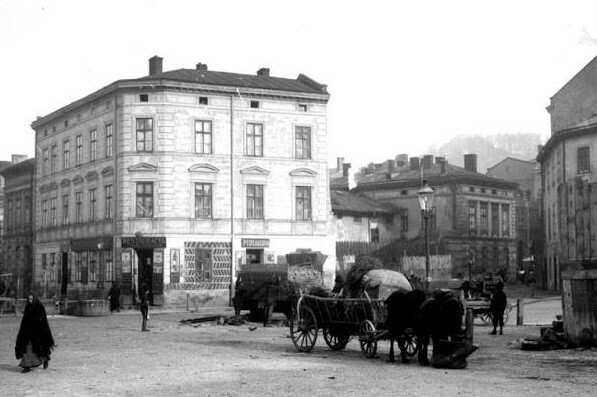 And they can also be found in old photographs and videos of other cities in Habsburg Galicia and interwar Poland. 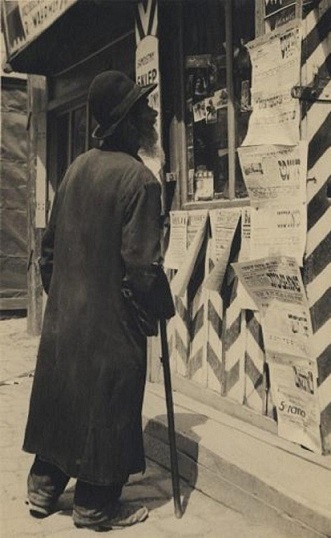 Thank you Areta for another important and timely blog post on the challenges and issues of Jewish heritage and recovery of memory. 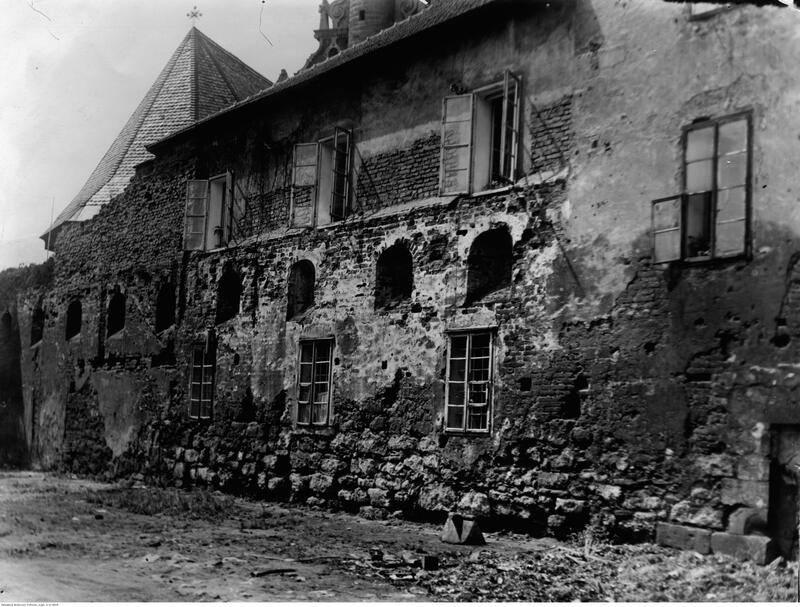 We are hopeful that soon the headstones used as basement steps in a courtyard in Lviv (Hałycka Płoszcza 15 / Galitskaya 15) will be recovered. 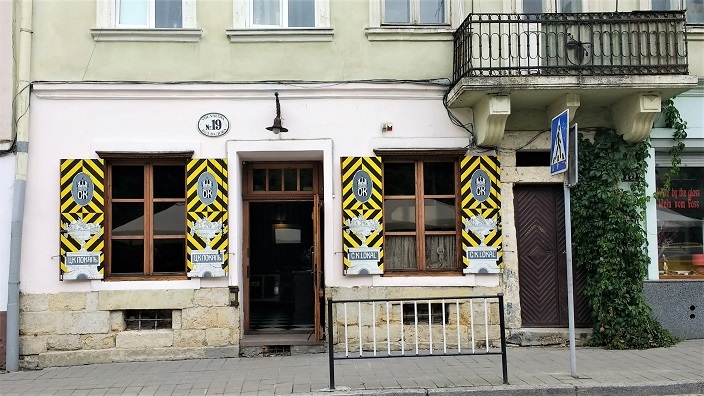 The Lviv Volunteer Center is working behind the scenes to make this happen, with the support of the Lviv Jewish community and others. 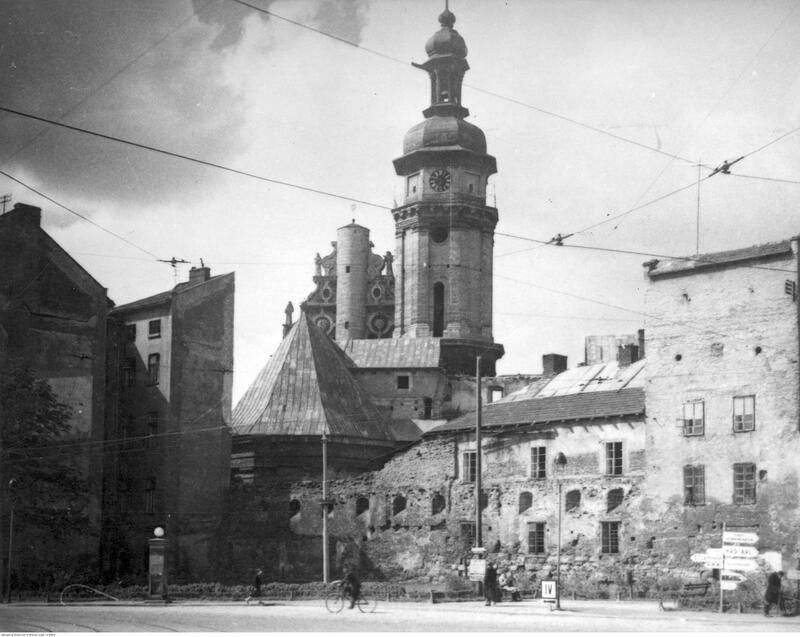 Areta, Hlyniany Gate and wall around it have been renovated. Kudos to you, Aretha. 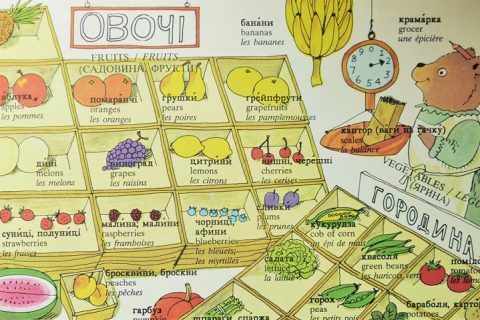 I came across your blog from a repost from one of your diaspora Ukrainian language from Pre-war Galicia words versus accepted and widely used Post-war words for a long list of foods. I too grew up in the diaspora in Cleveland. 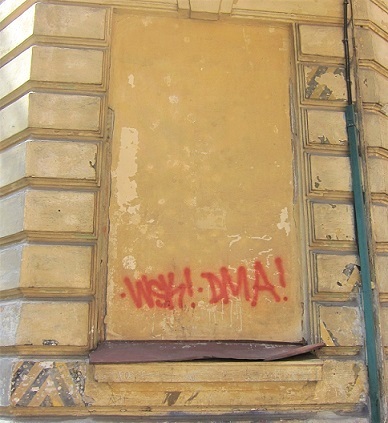 I was in Lviv in November of this soon to be last year. 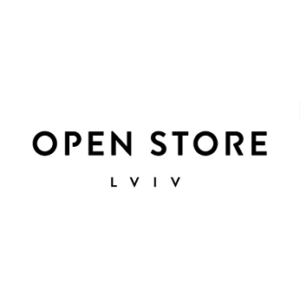 Although Lviv is my Dad’s ancestral city, I had family from Central Ukraine and grew up hearing both dialects. I think the blog was from 2014 or 2015. 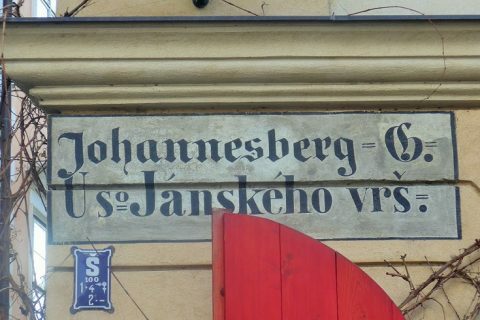 I wanted to leave a comment on your new blog and commend you for the interesting sociolinguistic and cultural discussions you have initiated. Nice to see that you are now in the field doing your research first-hand. Hi! Rushnychok (my uncles) are on Spotify! So interesting. 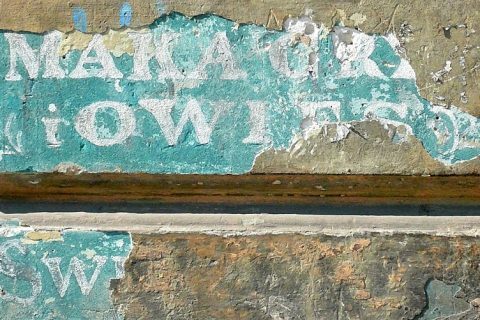 I wonder what our Canadian equivalents of ghost signs would be?